The chances of getting a mortgage with a CCJ are fairly high and a lot better than most people think. If you have a CCJ, you may assume that getting a mortgage is impossible. Getting a mortgage with a CCJ is actually easier now than it has been for a number of years. That doesn’t mean to say you can walk into a high street bank and they’ll approve you an instant mortgage. What it means is, with the right advice and preparation, getting a mortgage with a CCJ is very likely. This guide will explore each of the points above in further detail. You can also make an enquiry with a specialist at any time. As there are so many variables in getting standard mortgages, even they can seem like an uphill struggle. Once a CCJ is thrown in, things can get really difficult and it’s often where most people give up. Don’t give up! With an expert on your side, your chances of getting a mortgage are significantly increased. As specialist CCJ brokers, our advisors know exactly how to prepare mortgage applications and match suitable lenders. With whole of market access, you won’t be missing out on any best buy deals at the time. To speak to an advisor, you can go straight to our enquiry form and take the first steps to getting your mortgage agreed. To learn about getting a mortgage with a CCJ, you can find more information below. The registered date of your CCJ is usually the most crucial in your quest for a mortgage. This is because lenders pay particular attention to when your CCJ was registered. A CCJ that was registered two years ago doesn’t ring as many alarm bells as a CCJ that was perhaps registered a few months ago. That being said, it’s still possible to obtain a mortgage even with a very recent CCJ. Has your CCJ been satisfied? As with any mortgage, there’s always different lenders who have their own specific criteria. Some lenders will require a CCJ to be satisfied before approving a mortgage, whereas other lenders won’t. If you have satisfied your CCJ, then you will of course have more lenders to choose from. The date you satisfied your CCJ is important to types of lenders such as these. If you’ve yet to satisfy your CCJ, then be sure to approach lenders where CCJ settlement isn’t a factor. If you’re unsure you can speak to an advisor, as they’ll know exactly which lenders would be more likely to lend depending on your circumstances. If your CCJ was registered over 2 years ago, then it’s still possible to get a mortgage without satisfying your CCJ. Some CCJ mortgage lenders will require your CCJ to be satisfied at least 1 year ago. Other lenders will allow you to satisfy your CCJ right before you apply. After considering the date of your CCJ, the total amount of your CCJ is what lenders will assess next. The CCJ amount still plays a very important role in assessing your mortgage application. If your CCJ was registered around three years ago, then the CCJ amount wouldn’t really hold any relevance. If your CCJ was more recent (within the last 12 months) then there may be limits to how much you can borrow depending on the CCJ amount. As time goes on, the CCJ amount becomes more and more irrelevant. Some lenders will only lend if your CCJ was below £3000 for instance (in the past 3 years), whereas the same lenders will only consider a very recent CCJ if the amount of your CCJ was less than £1000. Your CCJ amount can also impact the amount of deposit you may need to put down. If you have a very large CCJ then you may need a deposit of 30%. Smaller CCJs usually need a lot less of a deposit amount. The number of CCJs you have registered against your name can also impact your mortgage. If you have more than two CCJs for example, then you may need a deposit of around 25% minimum. Lenders may also require the CCJs to be over a year old. 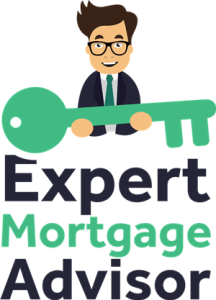 If you have multiple CCJs and they were registered in the last 12 months, then you may require a substantial deposit in order to get a mortgage. Some lenders will also have a ‘CCJ cap’, meaning anything over a certain amount of CCJs and they simply won’t lend. For instance, one lender may restrict CCJs to a maximum of 2. So if anyone has more than 2 CCJs then they simply won’t lend. The good news is, not all lenders are the same and may still consider your application, no matter how bad you may think your situation is. It’s highly advised to check your credit file before applying for a mortgage. You can then see the exact details of the CCJs, such as the dates, amounts and the number of CCJs you have against you. Websites such as Check My File allow you to view all of your credit reports in one place. What deposit will I need if I have a CCJ? In all cases, the higher your deposit is, the more favourable lenders will be as there’s obviously less risk. If you have a smaller deposit and a CCJ, then you’ll be high risk to lenders. If you have a 5% deposit, then your CCJ will more than likely need to be over three years old. A 25% deposit may allow you to get a mortgage even if your CCJ was registered within the last year. Anything higher than 25% will allow you a lot more flexibility in the mortgage market. The type of mortgage you need will also have a bearing on your mortgage assessment. If you already own your property and are looking to move or remortgage, then applying for a mortgage with a CCJ is perhaps the easiest of scenarios. If you’re purchasing a new build or you’re a first-time buyer, then lenders start to become less flexible. Some lenders may not accept borrowers with CCJs over £1000 and other lenders may require CCJs to be satisfied 12 months ago. The good news is that there are still lenders that may consider you in these circumstances. Buy to let mortgages are next in line and further difficult to obtain when you have a CCJ. Lenders may require you to satisfy your CCJ before applying and will generally require a large deposit. Other lenders may only lend if your CCJ is over two years old. Certainly don’t let this dishearten you. There are specialist lenders available for when things get really tough. How much can I borrow if I have a CCJ? If you have a CCJ, the amount you can borrow is all based on the above information. Once lenders have considered things such as the number of CCJs, the dates, amounts and whether or not they’ve been satisfied, only then will a lender be able to confirm their maximum LTV (loan to value). Lenders may restrict the mortgage amount to 4x your annual income if you have a CCJ. If your CCJs are older than two years, then you may be able to borrow up to 5x your annual income. These are approximate guides, as this does depend on individual circumstances and each particular lender. Applying for a mortgage with a CCJ can get more complex depending on your situation, as there are so many different factors that lenders may take into consideration. Once our advisors understand your complete financial situation, we can then provide you with a more informed answer as to how much you can borrow and which products you may be eligible for. A planned and structured approach is vital in getting a mortgage with bad credit. In addition to a CCJ, further credit issues will of course make it increasingly difficult to get a mortgage. The extent of your other credit issues will play a part in how lenders assess you. Late payments are seen as less severe by lenders as opposed to something more severe such as repossession. Lenders may still consider you for a mortgage with a CCJ, even if you have other credit issues such as bankruptcy, IVAs and debt management plans, so don’t be disheartened in your attempts to get a mortgage. 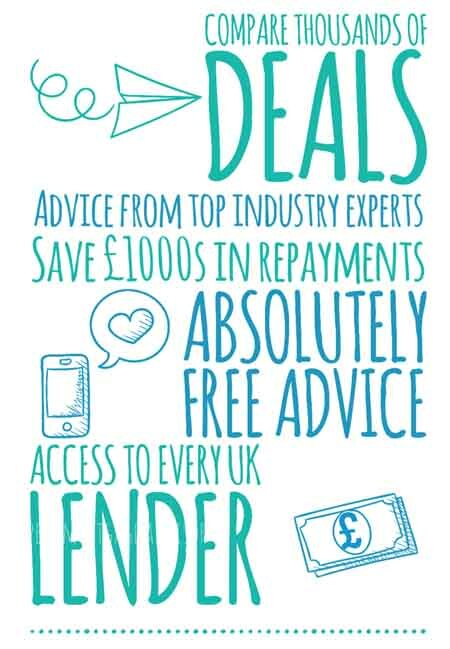 Our advisors specialise in bad credit mortgages and work with specialist lenders who offer finance on a daily basis to borrowers with adverse credit. Remember, you can speak to an advisor by filling out our quick online form.